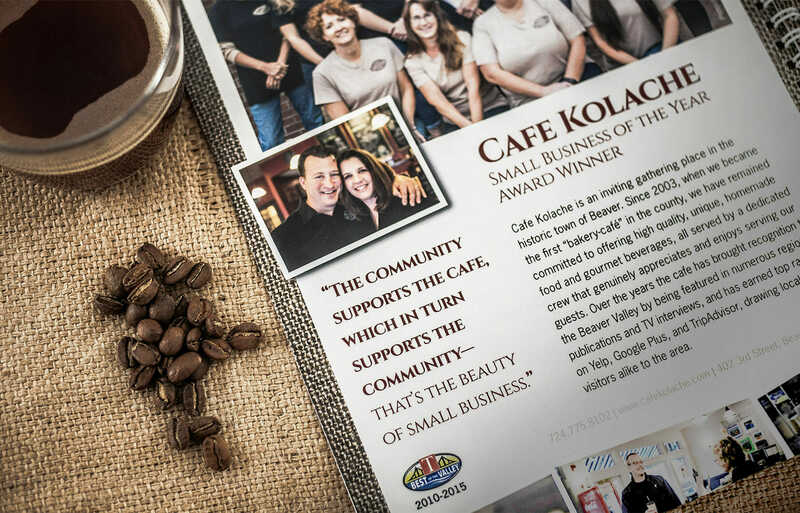 Cafe Kolache is an absolute cornerstone of the Beaver, PA community. 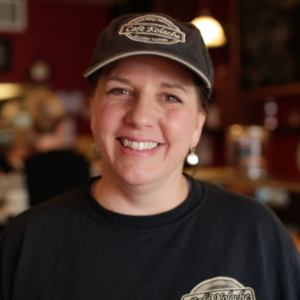 Their mission is to leave each customer happier than when they came into the cafe…and we can certainly relate to that. Kindness rocks! The goal of this project was very similar to the goal of other clients. We want to reach their audience as quickly and often as we can without sacrificing quality or blowing the budget. We want them to be ingrained into their community and a “top of mind” option for breakfast, lunch and coffee daily! Brkich Design Group has recommended so much over the decade of working with the cafe that it really is hard to pick just a few things. We have worked to help improve drink sales at times with specials and loyalty rewards and focused on quick bites at times when prepared foods became more of a priority. Fresh perspective. Creative ideas. Awesome design. Brkich Design Group offers excellent graphic design services and experience. 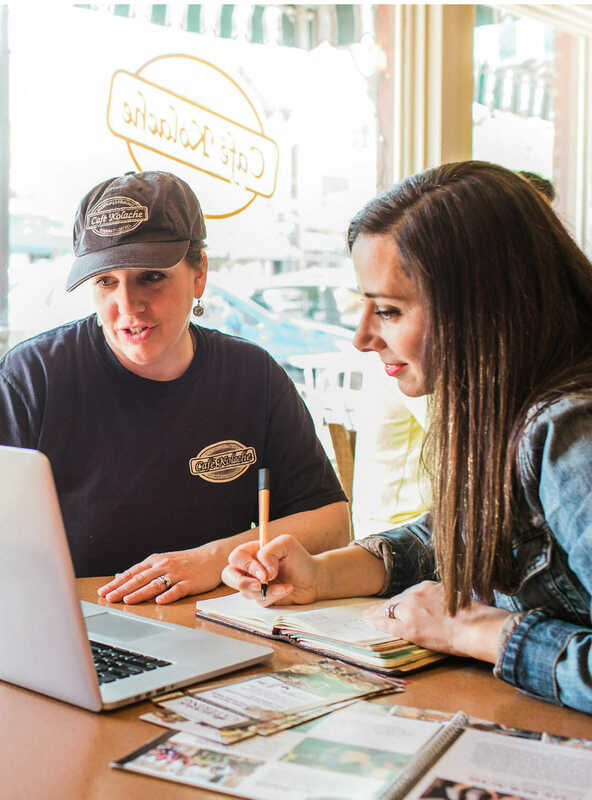 They provide unique insights and suggestions for marketing and growing small businesses, with a particular passion for main street businesses…providing the “out-of-the-box” thinking and action that busy business owners need! We aren’t quite sure where this story began because it seems that we’ve been working alongside of each other forever. Kristi and Cassie have been business BFFs for as long as we can recall making this partnership a match made in heaven. 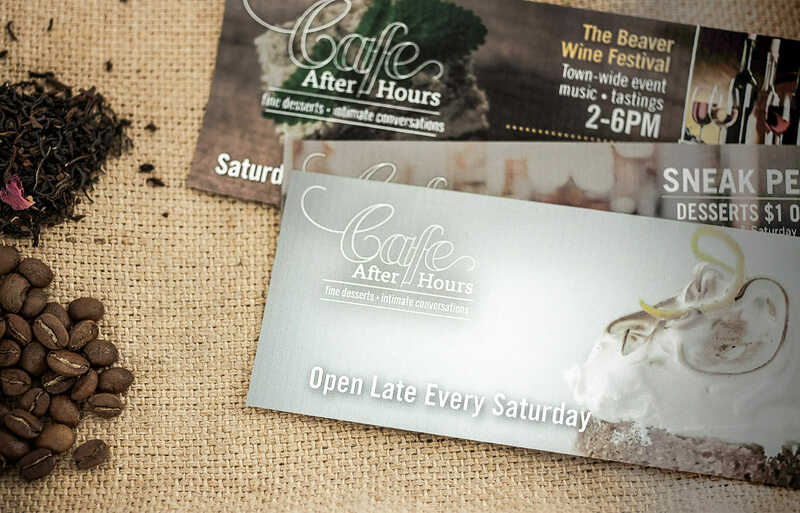 The café had a logo previously designed when they came to work with us and, similar to Split Personality Consignment, they needed help in rounding out their brand. We first came up with a color scheme that would complement the logo design as well as fonts to use in branding. We help to save money, but never sacrifice quality. One of our main goals in working with small main street businesses is creating pieces that have a dual purpose or help to stretch their marketing budget. 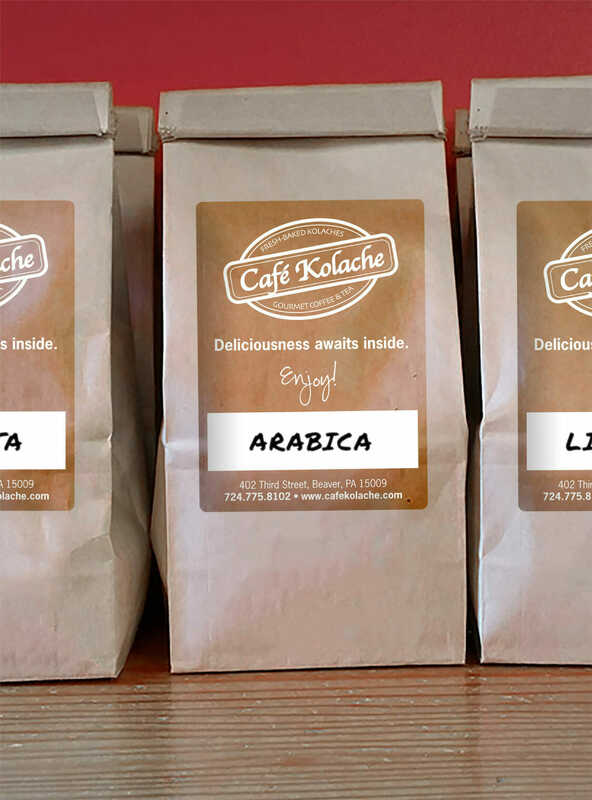 Café Kolache had a need to change pricing and items on their menu often but didn’t want to sacrifice design in printing the menu in-house. Our solution was to design a menu cover in full color and get it professionally printed leaving the back blank. As they need new menus, they print the backs in-house. Over the years, we have helped them plan events, create social images and posts and plan their marketing and content calendar. We have coached them through new offerings in their business such as catering and we have created website functionality to make their lives easier. Creative brainstorming is our favorite past time (followed closely by organization). 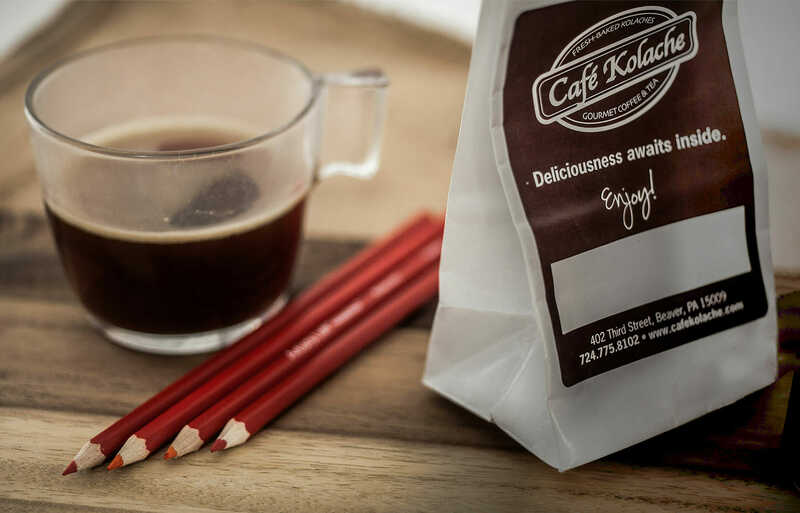 Currently, the café is one of our ongoing marketing coaching clients. We meet every quarter to plan the next quarter‘s in-store promotions, events, advertising and more. We help them plan fun promos and activities for things like National Coffee Day and May 4 (Star Wars Day, May the 4th be with you, get it?!) and help them delegate responsibilities and even pass information onto those in charge. We are their partner and are available with design needs as they come up and we can easily create the best design for their use since we are so closely involved in her business day to day. You’re never alone when you’re with us. We have been told that feeling alone in your business is one of the biggest stresses of our clients. We believe it because we feel it sometimes as well. Alleviating that stress is by far our favorite part of any client relationship. We are their partners and we wouldn’t have it any other way.